DUBAI, UAE, October 18, 2018 – It's in cell phones and even some sporting goods – and soon, for the first time in automotive, it will be under the hood in Ford vehicles. Ford Motor Company is announcing the use of graphene – a two-dimensional nanomaterial – in vehicle parts. 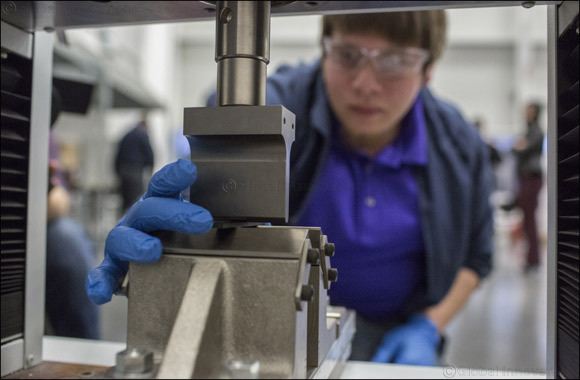 In 2014, Ford began working with suppliers to study the material and how to use it in running trials with auto parts such as fuel rail covers, pump covers and front engine covers. Generally, attempting to reduce noise inside vehicle cabins means adding more material and weight, but with graphene, it's the opposite.